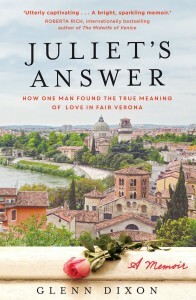 When Glenn Dixon is spurned by love, he packs his bags for Verona, the setting for Shakespeare’s most famous love story, Romeo and Juliet. Determined to heal his heartbreak by helping others, he becomes the lone male in a dedicated team of secretaries who answer letters from thousands of lovelorn people around the world on behalf of ‘Juliet’. Although he has firsthand experience of heartbreak and has taught Shakespeare for decades, at first Glenn struggles with how he can advise others yearning to understand the mysteries of the heart. But as he learns from his fellow letter writers about life and love, he comes to realise he has a lot of learning to do about himself, about heartbreak – and about Shakespeare’s two fictional lovers. He also learns that the letters have the power to transform lives, his own included. 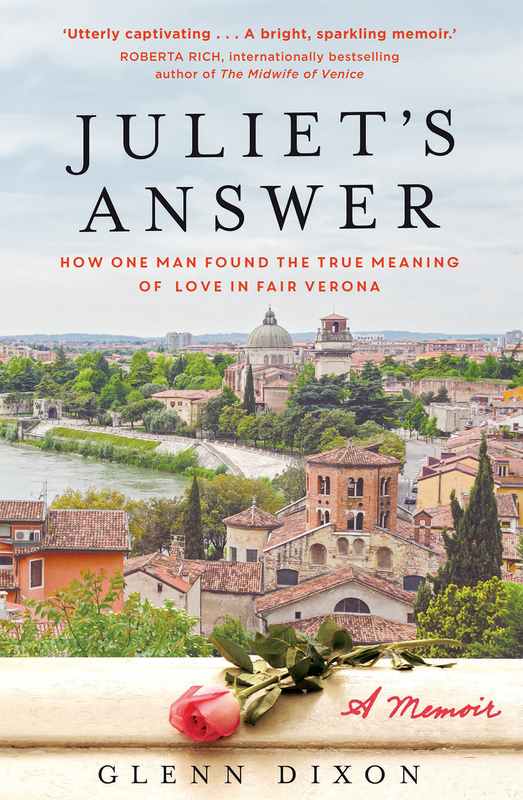 An irresistible modern-day love story set against the backdrop of one of the most enduring love stories of all time, Juliet’s Answer will warm your heart long after the last page. ROBERTA RICH, international bestselling author of The Midwife of Venice.